This 3-D popcorn movie is sure to please fans of the Marvel Comics superhero with its patriotic, gung-ho tone and grandiose action sequences. 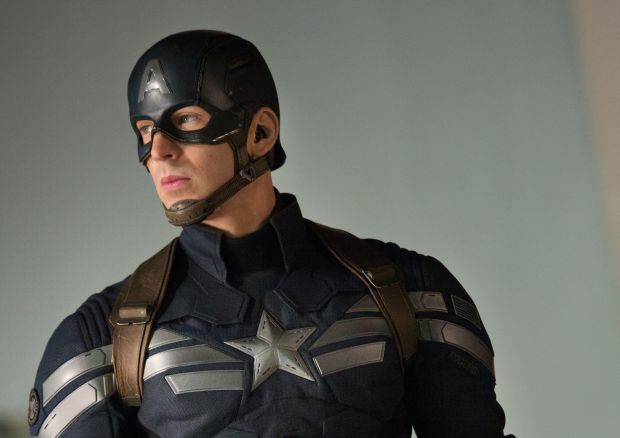 But screenwriters Christopher Markus and Stephen McFeely, who penned the first Captain America script, expand their horizons with a smart and timely story touching on national security, government surveillance and the price of freedom. At times, the picture has the feel of an old-fashioned conspiracy thriller like “Three Days of the Condor” or “All the President’s Men” — a comparison reinforced, perhaps, by the presence of Robert Redford, who starred in both those movies, in a major role. For those unfamiliar with the Marvel universe, a brief recap: Captain America, aka Steve Rogers (Chris Evans), was a 98-pound weakling transformed into a he-man fighting machine by the U.S. government during World War II. He leads a successful campaign against a terrorist organization, then goes to sleep in a cryogenic state for 70 years. Thawed out in the current century, Captain America is recruited by the intelligence agency S.H.I.E.L.D. (Supreme Headquarters, International Espionage, Law-Enforcement Division) to defend Earth from an alien invasion. His sidekicks include Iron Man and the Incredible Hulk. “Captain America: The Winter Soldier” takes place two years after “The Avengers.” Rogers is living in Washington, struggling to fit in, a man (literally) out of time and place. He takes his orders from two S.H.I.E.L.D. bigwigs, Nick Fury (Samuel L. Jackson) and Alexander Pierce (Redford). Fury and Pierce are at odds over Pierce’s pet project, a plan to circle the planet with massive “helicarriers” — think aircraft carriers with wings and propellers — equipped with super-intelligence gadgetry to root out and destroy security threats. Fury suspects a hidden agenda, and fears that innocent people may be the real targets. Before you can say “Ka-pow!” Pierce unleashes his fury on Fury, who narrowly escapes death. He warns Rogers that S.H.I.E.L.D. has been compromised, and no one can be trusted. So it’s Captain America to the rescue, as he tries to uncover the conspiracy, with the help of two comrades: fellow Avenger Natasha Romanoff, aka Black Widow (Scarlett Johansson), and a new buddy, Sam Wilson (Anthony Mackie), who earns his moniker “Falcon” thanks to a nifty pair of mechanical wings. But the baddies have a super warrior of their own who goes by the name of the Winter Soldier (Sebastian Stan). It seems he and Captain America have met before, and have a lot more in common than a penchant for masks and costumes. Co-directors — and brothers — Anthony and Joe Russo (“You, Me and Dupree”) handle the requisite (and noisy) action scenes with flair, although these may be too intense for younger viewers. But the siblings are to be commended for the many quieter moments they include, which allow the audience to catch its breath and the characters to develop amid witty repartee. The film contains intense but largely bloodless violence, including gunplay. The Catholic News Service classification is A-II — adults and adolescents. The Motion Picture Association of America rating is PG-13 — parents strongly cautioned. Some material may be inappropriate for children under 13.